The best baby shoes for 0-24 months that are timeless, practical and beautiful. Designed around the needs of a baby’s feet, they promote natural, healthy foot development. It’s a design that caters for Moms too – a shoe that’s easy to get on (with hidden velcro under the buckle) and hard for baby to get off. Perfect for scooting to crawling, cruising to tottering and walking to running, whether indoors or out it’s a classic style that’s practical for moms and little ones, and lovingly crafted to last. The best baby shoes mimic walking barefoot. Our unique baby shoes mimic bare feet by flexing and bending with every step. We wanted a sole that was flexible but that also provided some protection. It’s a design choice we made to support and not constrict growing feet. We wanted to promote good balance and unrestricted growth, while providing some protection for little feet from bumps in the road. The sole is thick enough to prevent an ouch when stepping on a rock but soft enough to promote good foot development. 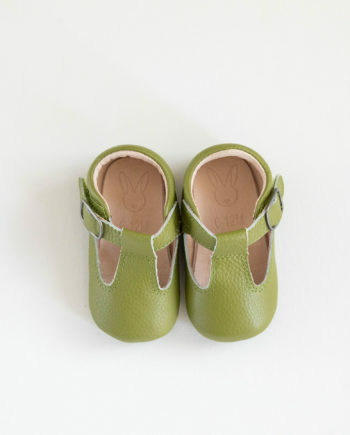 With three small children of our own, we know baby shoes should look great, but need to be practical too. 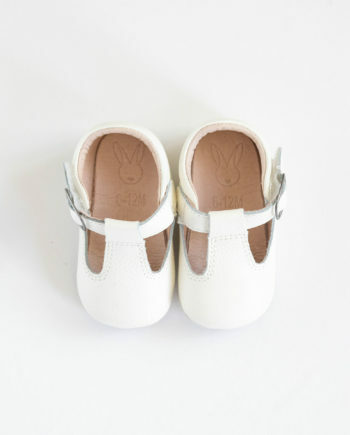 That’s why we’ve made our baby shoes super easy to put on, with a super tough velcro fastening. The over-sized opening means putting the shoe on a squirming baby is easy. 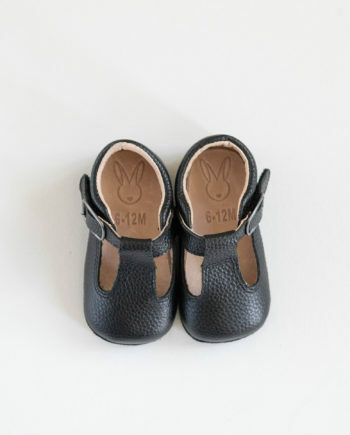 And the velcro ensures a perfectly snug fit as a baby’s foot grows and makes it easy for mom to put on, but tough for your little ones to take off. We have sourced the strongest velcro and tested with the most rambunctious babies to ensure they stay on. 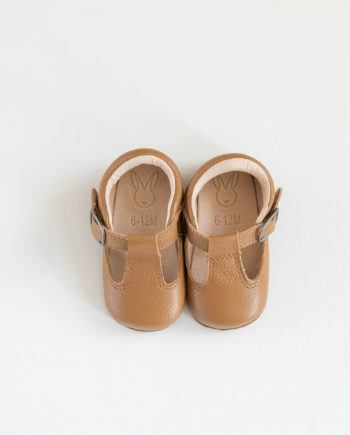 Our first baby shoe design is a classic t-bar shoe that spans generations and all styles. Everything we do at Aston Baby is classic and heirloom, which are our guiding principles. 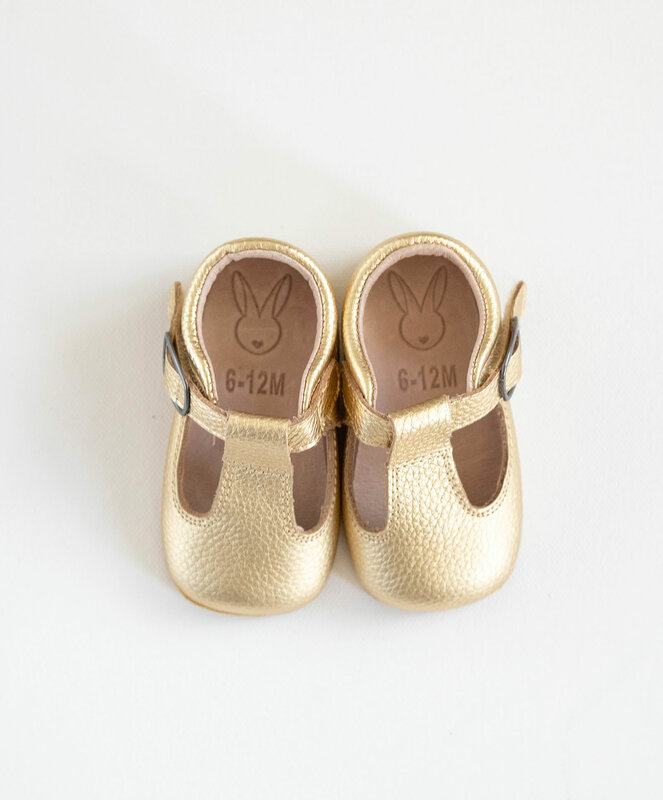 These baby shoes are built to last and built to span generations of changing styles and trends! We all want the best for our babies, and for baby shoes it’s no different. We’ve sourced the highest quality premium materials and found a supplier for beautifully soft leather that’s non-toxic, breathable as well as durable and made to last. 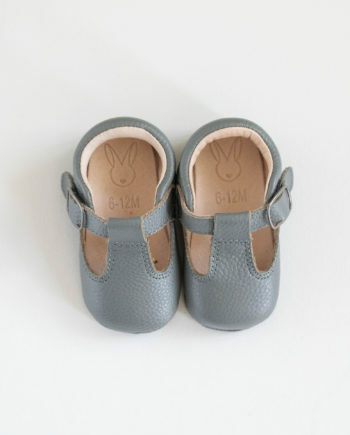 To ensure high-quality baby shoes, we’ve hand inspected each shoe to ensure it’s been made just right, and that there are no rough seams or bad stitching that might be uncomfortable for a baby’s foot. 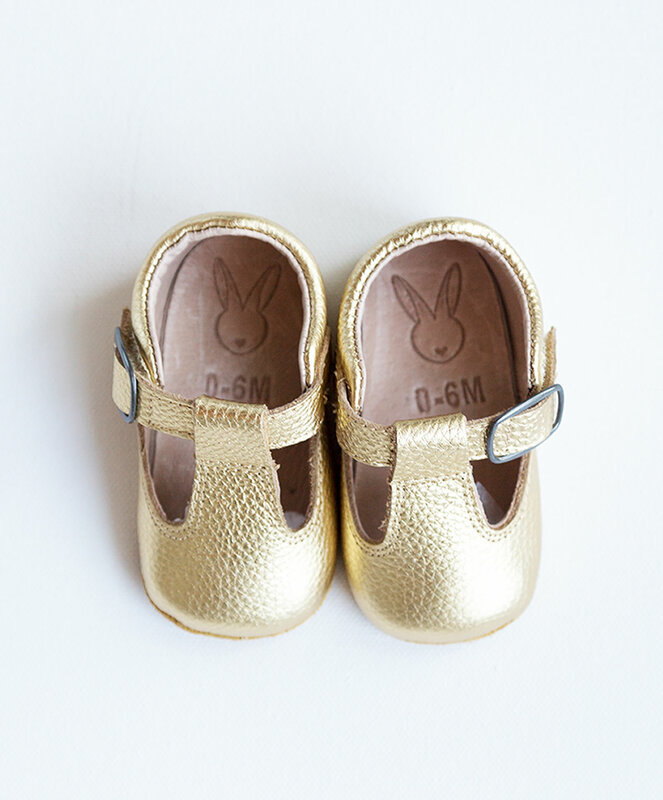 If Gold’s not your thing, we’ve got a range of colours in for everyone with red baby shoes, white baby shoes, black, pink, grey, mustard, tan and navy baby shoes available in the Shaughnessy shoe collection. We’ve chosen these classic colours for their flexibility in matching outfits but and also to add a spark of colour and fun to every outfit.